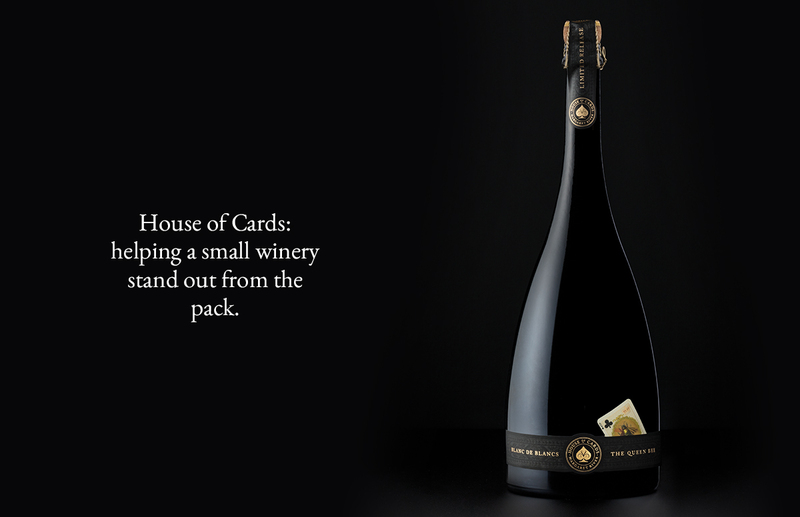 House of Cards: helping a small winery stand out from the pack. 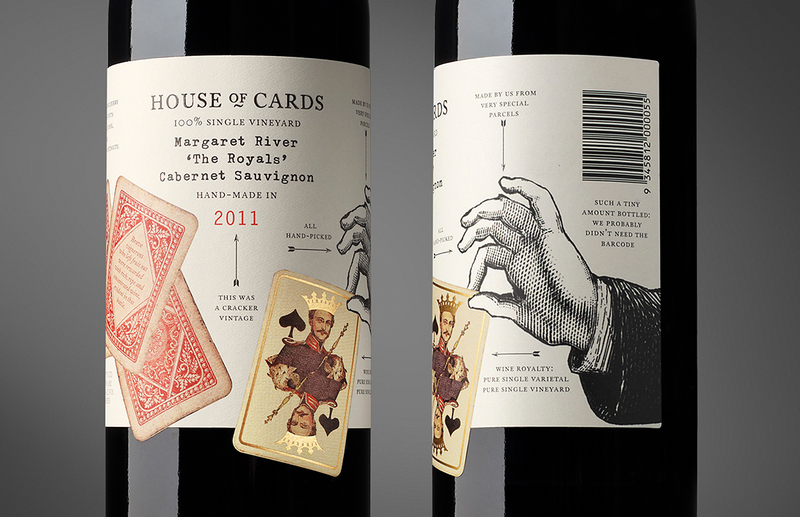 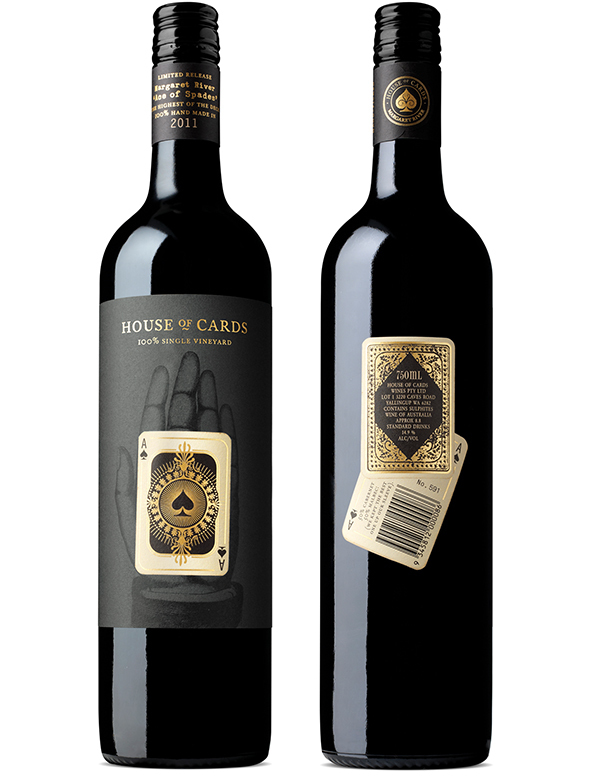 House of Cards is a small single vineyard Margaret River winery. 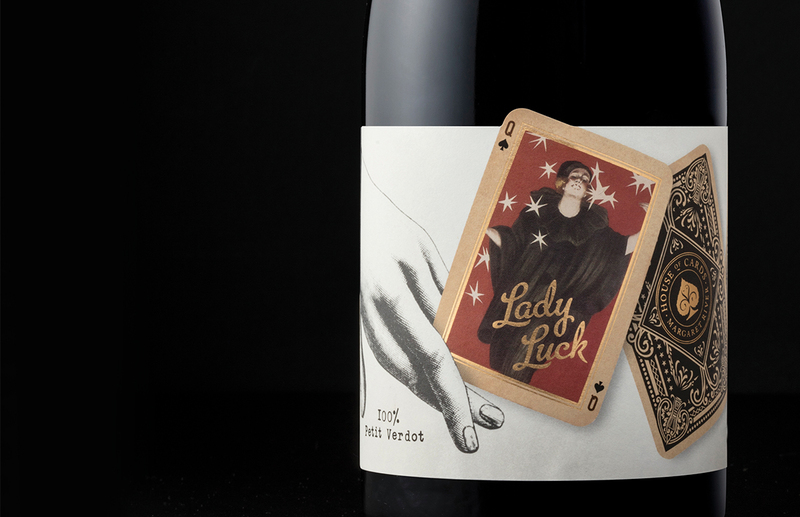 When winemakers Travis Wray and Liz Davies named their brand House of Cards, their rationale was that winemaking is a bit of a gamble: every vintage you have to work with the hand that nature deals. 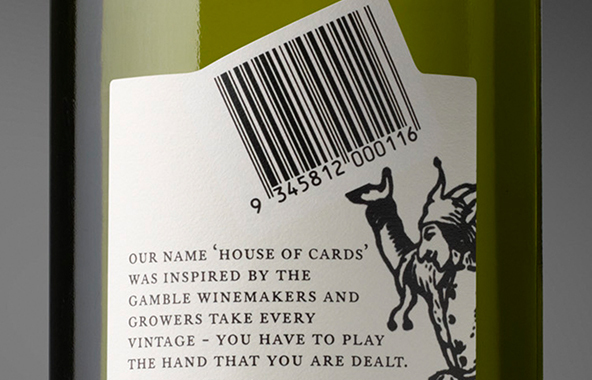 The packaging needed to communicate this philosophy as well as project the hand-crafted nature of the wine. 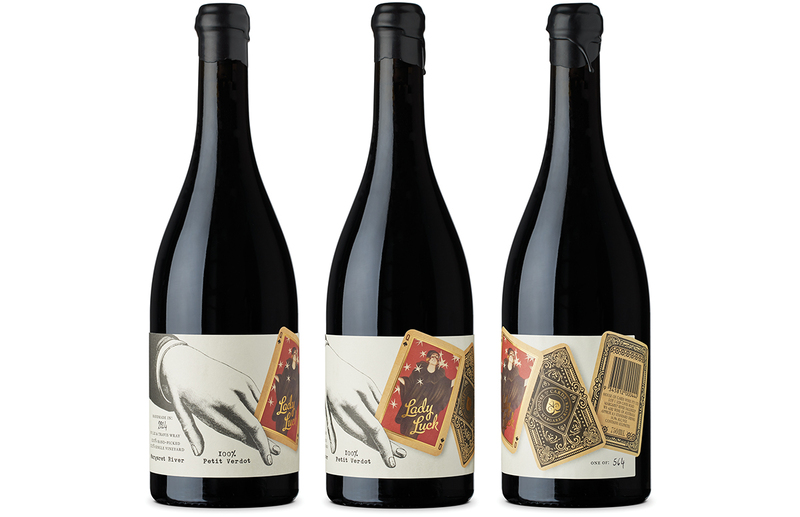 Liz and Travis release a number of small volume wines annually so the brand needed to be able to easily stretch across a number of individual parcel releases. 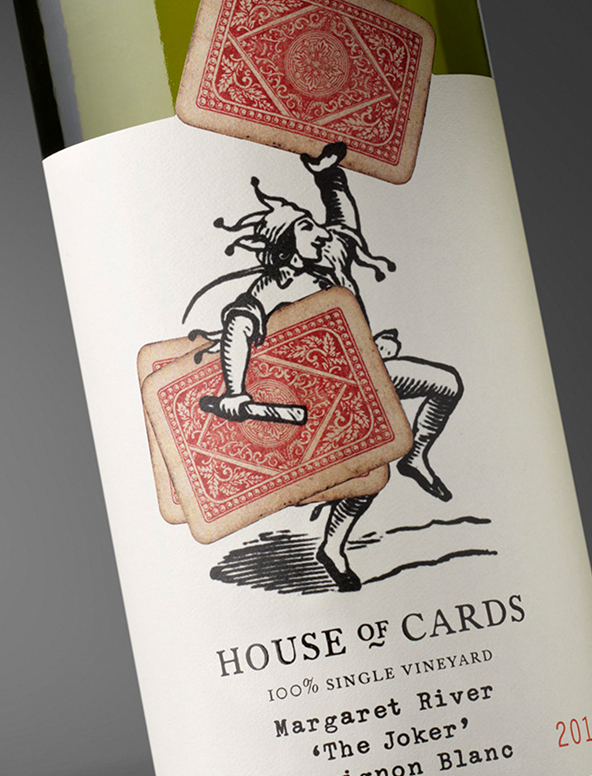 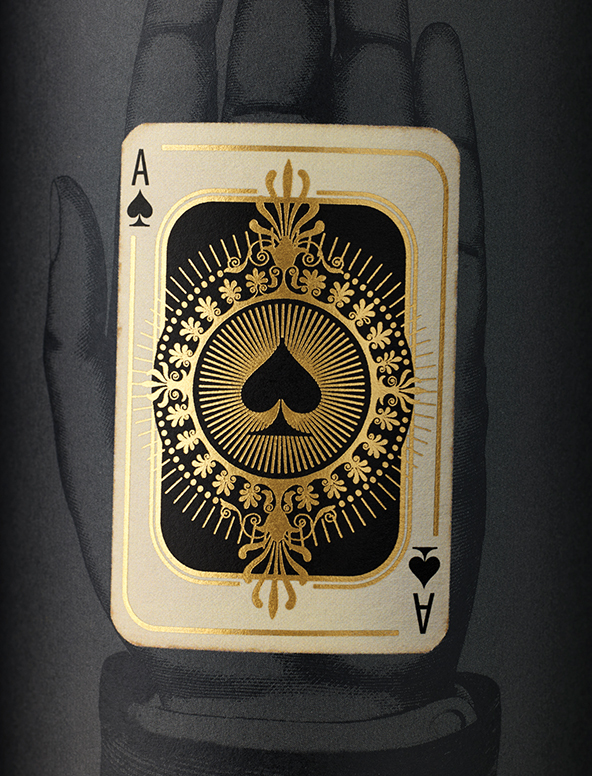 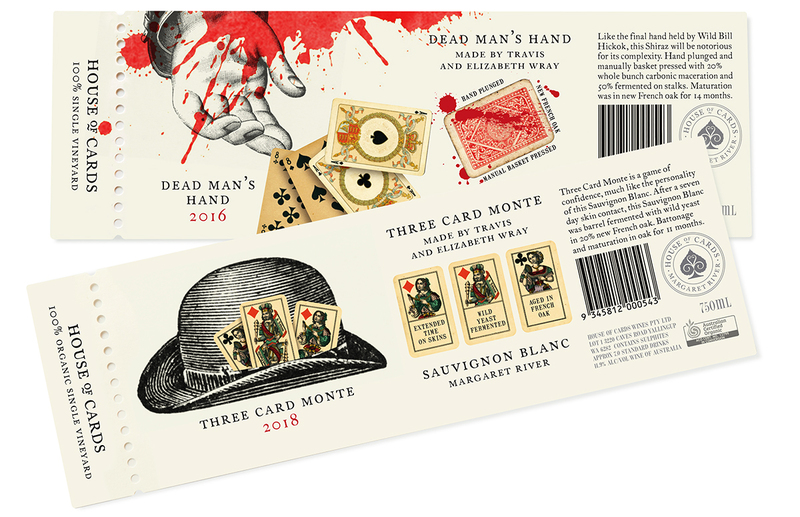 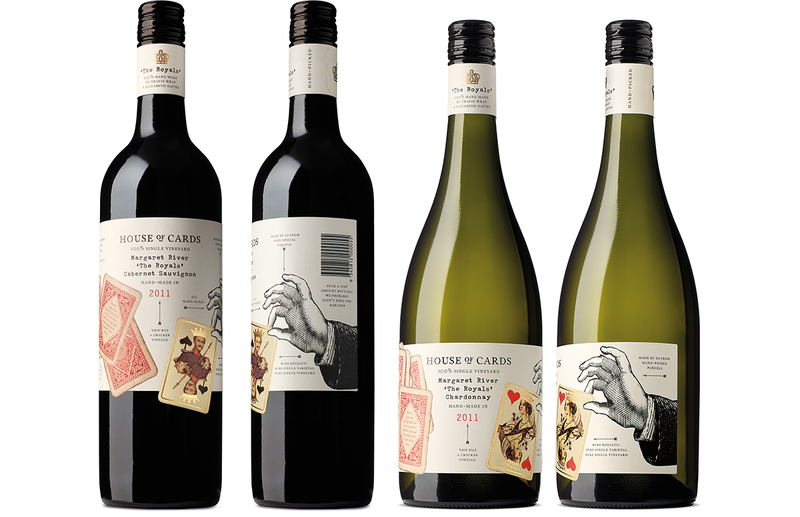 The House of Cards personality shines through the packaging: warm language and quirky illustrations combined with super- premium finishes creates a cohesive yet highly individual collection of wines.